There may be a silver lining in this tax credit expiration cloud, but it’s still a bad idea. The 30%-off-solar-via-your-taxes deal has been available for almost 10 years, following an eight-year extension in 2008. It was a crucial tool. It made solar energy more cost-competitive with conventional electricity generation but by encouraging deployment of solar, it pushed hardware prices down and installer experience up (also lowering costs). 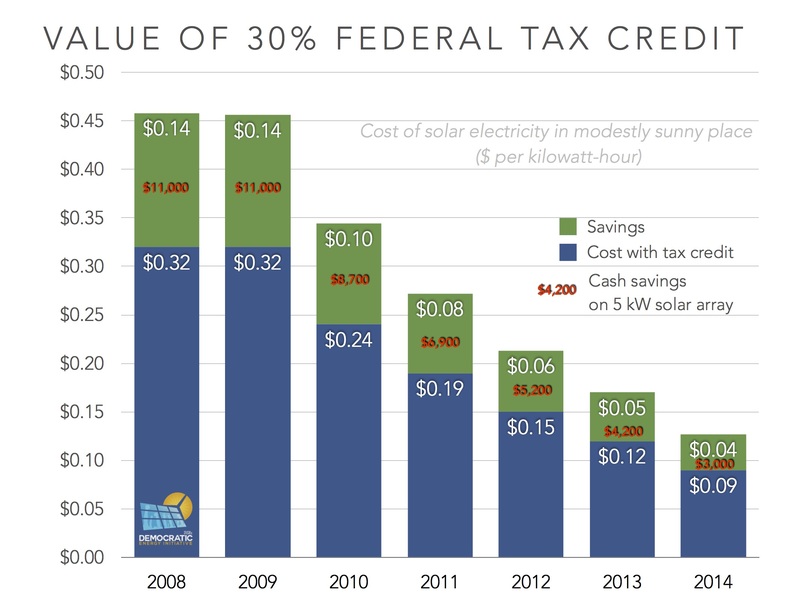 The following chart shows how much the tax credit lowered the cost of solar energy in 2008 compared to 2015. But the use of tax credits always had its drawbacks. Many potential solar owners were ineligible because they lacked sufficient tax liability (40% of Americans still don’t have enough annual tax liability to absorb it in one year), including cities, counties, and non-profit organizations. Even for-profit businesses often had insufficient tax liability and sought “tax equity” partners, like Wall Street banks, who were always seeking ways to offset their massive profit-induced tax bills. Of course, these tax equity partners came at a price. They would contribute capital to a solar project in exchange for the tax incentives, but their required after-tax return of 9% or more drove up project costs. In the end, as much as 50 cents of every dollar of tax incentives (the 30% credit and depreciation) was absorbed not by the solar project itself, but by the Wall Street partner. Additionally, because the complexity of accessing tax incentives led many to contract with third parties to own their rooftop solar arrays, it can inflate the cost of solar. For one, the tax credit is based on the cost of the system, giving developers that can capture the tax credit an incentive to inflate system prices. There’s some evidence that—using some tax law trickery—solar developers and banks did just that. Second, because getting competing solar quotes can be complicated and time-consuming, the third party is competing more with the incumbent utility than other developers. Thus, they can keep prices just low enough to give electric customers a better deal than the utility, and pocketing the difference. The following chart shows how a solar purchase agreement saves a customer money compared to buying from the utility, but that the provider is claiming much of the savings (we assume electricity prices rise by 3% per year, and that PPA prices rise by 2% per year). 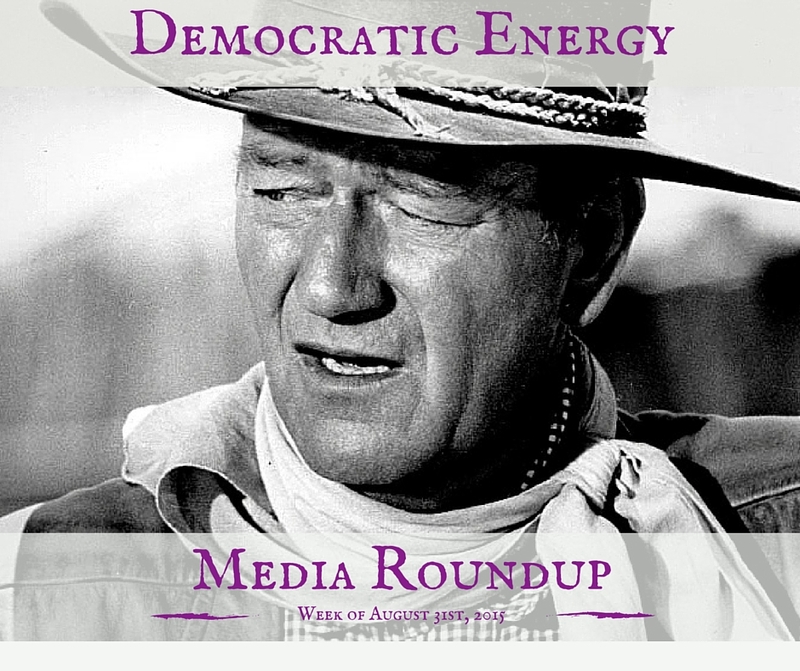 Despite the drawbacks, articles in the energy trade press have noted the potential impact of losing the federal tax credit, from reducing the competitiveness of solar to killing off marginal markets in states outside of California and New York. 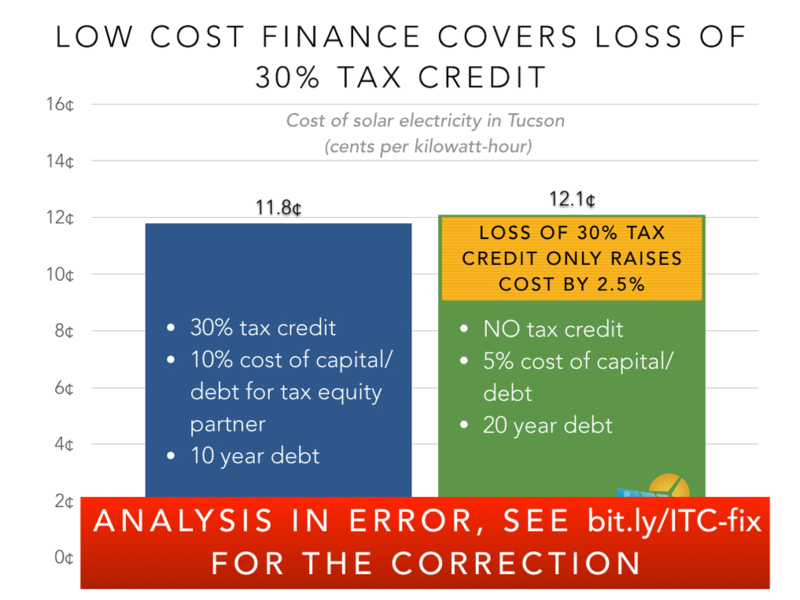 The following chart shows how the loss of the tax credit, holding everything else equal, reduces the competitiveness of solar energy with utility electric prices in many states. If nothing else changed, the loss of the tax credit could significantly reduced the development of solar in 2017. One of the biggest problems is the sudden change. Solar incentives have disappeared before. Few utilities still offer solar rebates or incentive payments, and many state programs have also shut down. The California Solar Initiative is an illustration of how to do it with transparency and predictability. Its incentives stepped down as market growth stepped up (see chart below). Another consideration is the regional difference in solar resource. 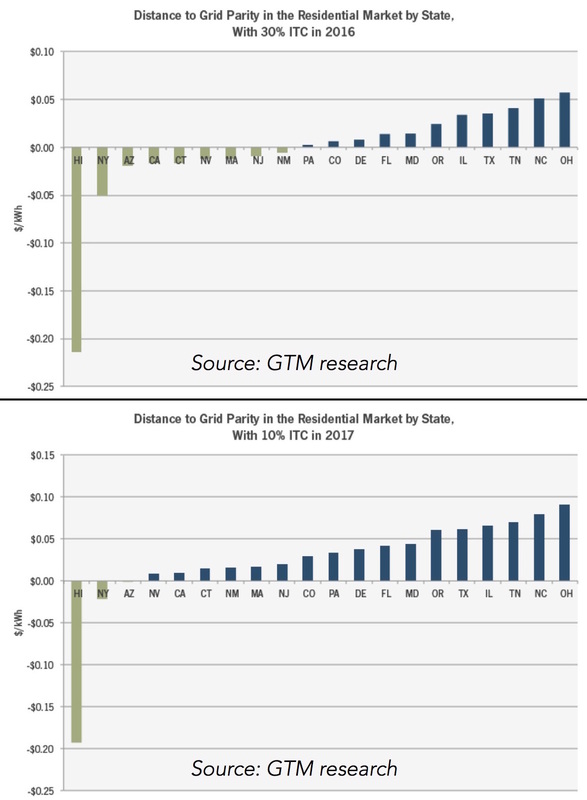 Hawaii, New York, and Arizona no longer really need a tax incentive to have solar compete with grid electricity prices (see the 2017 GTM chart above), but many other states do. The tax credit could be allowed to expire for residents of these “solar competitive states,” a number which would continue to grow as solar costs continued to fall. 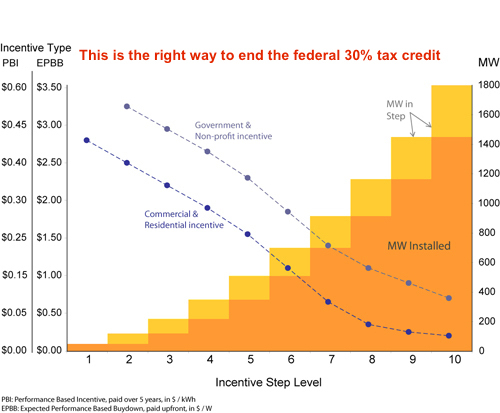 There are some solar market benefits to ending the tax incentive. There’s data to back this up. The National Renewable Energy Laboratory released a study in 2015 showing that power purchase agreement (PPA) financing terms combining third party ownership and tax equity means higher prices. For residential customers, a 20-year power purchase agreement (buying the solar energy from a third party solar array on your own rooftop) is 23% more costly than a loan because of the return requirements of equity partners, even though the two have similar monthly payments. For commercial customers, the difference is even more stark. The 20-year power purchase has 87% price premium over 10-year loan despite comparable annual payments. There are, of course, many other factors. Many customers may prefer third party ownership. Businesses purchasing from a third party benefits businesses, for whom the transaction is “off the balance sheet.” Inverter replacement and other (unlikely) maintenance would also be handled by a third party (although the cost of replacement is included in the model at year 10). Finally, a third party arrangement means that the solar customer doesn’t need to have sufficient tax liability to absorb the 30% tax credit (although it’s likely that customers with that level of income may lack the creditworthiness to secure a third party deal). Several other factors favor ownership. 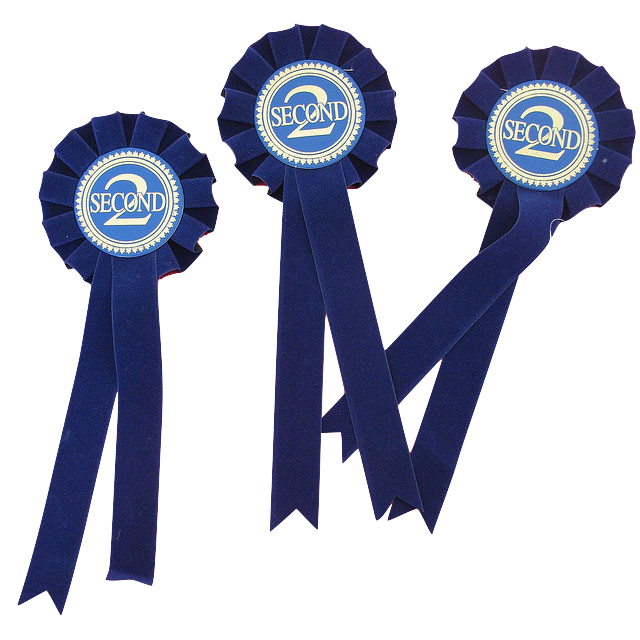 The interest rates used for the loans are affected by customer’s FICO scores. High credit customers could get loans at interest rates as much as 2% points lower, and poor credit customers would have rates 2% points higher. This would change the cost estimate by 2-3¢ per kilowatt-hour in either direction (though not enough, by itself, to change the outcome). Many solar loans allow for deductible interest, which would lower their cost. Ownership also confers longer term benefits, because the useful life of the solar array is more likely 30 than 20 years, and the person financing solar with a loan would have 10 more years of “free” energy, lowering their annual average costs by about 18%. 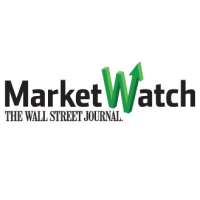 The big promise for low-cost solar financing is crowd financing or institutional investors. The former represent individuals who grasp the complexity of solar but can’t invest via traditional channels. New federal and state laws have tried to remove barriers to crowd financing for clean energy (and other businesses), but crowd funding as an investment (as opposed to donation models like Kickstarter) has been slow to develop. Institutional investors like pensions or college endowment funds have large portfolios looking for diverse, but stable returns. The issue with attracting these potentially low-cost investors is that they aren’t interested in returns based on tax incentives, nor small-scale investments. They want solar “securities” to invest in: multi-million dollar pools of solar loans and leases with similar risk profiles. This has also been slow to develop. So far, third party financier SolarCity has the only securitized residential solar asset. Additionally, the focus on tax equity financing to use the federal tax credit has drawn attention away from low-cost financing from investors in solar securities. 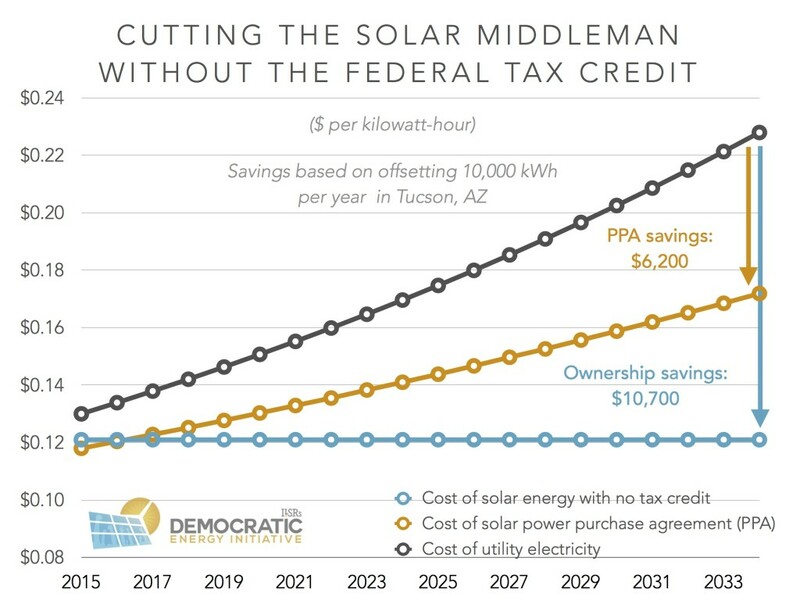 Let’s look at the tension between low-cost financing and the tax credit, with a 5 kilowatt residential solar project as the lens. This residential project in Tucson, AZ, can be installed for $3.40 per Watt. With 10-year debt/equity financing at 10% cost of debt/capital to access the 30% federal tax credit, the cost of solar electricity is 11.8¢ per kilowatt-hour. With the tax credit, but with financing at 5% over 20 years (chosen for the lower monthly payments), the cost of the solar electricity is just 2.5% higher, at 12.1¢. Additionally, if the availability of low-cost, long-term financing (and the lack of hassle filing for a tax credit) allows more residential and commercial electric customers to install solar as owners rather than using third party arrangements, the marginally higher cost will be more than offset by the savings by cutting out the middleman. Here’s a remake of the chart comparing ownership to a PPA from earlier, now filled in with the cost figures from Tucson (we still assume 3% electricity price inflation and 2% PPA price inflation). 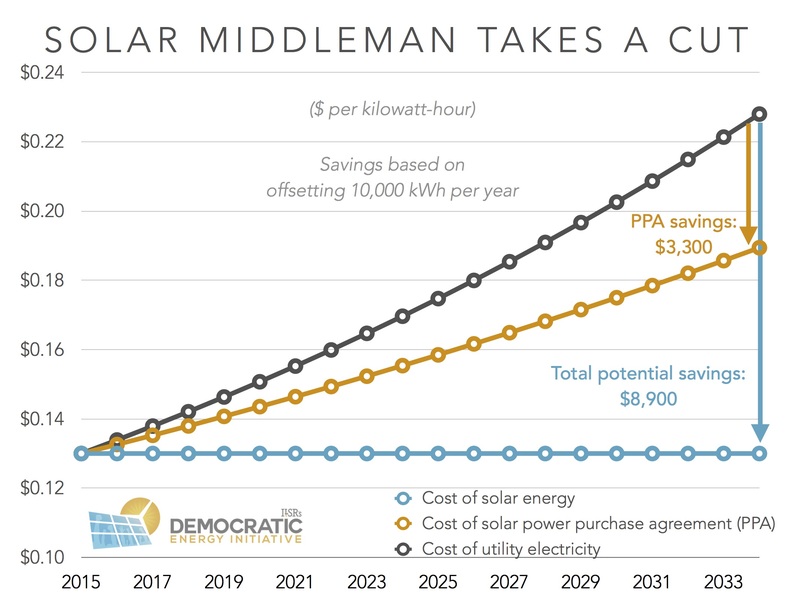 If the solar tax credit departs, we can take heart in the way it may help democratize ownership of solar as the market continues to grow. The numbers may say that solar can survive, even thrive, without the federal tax incentive, but let’s be real. The key role of this tax credit is to fix a market failure, where fossil fuel (and even nuclear) electric power providers are allowed to socialize their pollution costs from extraction to combustion to long-term waste storage. In contrast, solar only socializes sunshine. In other words, killing an incentive for solar is just another way to use the tax code to reward the political contributions of the fossil fuel industry. Tax credits remain a lousy way to provide incentives for clean energy, but until we find other ways to fix the fossil fuel favoritism in energy markets, it’s better than a sunset on the solar tax incentive. Photo credits: (2nd place) Scott via Flickr (CC BY-NC-SA 2.0 license); (fossil fuel externalities, from left to right) Nate Beeler/Columbus Dispatch, New York Times, mark gallagher via Flickr.